This past week was a perfect example of April showers bringing May flowers. Three days of rain suddenly brought green grass, blossoming trees, tulips, engagements, weddings, and babies! Crazy amounts of sweet newborns have come through our home studio in Plymouth, Michigan for newborn portrait photography (hello 2013 spring baby-boom!). 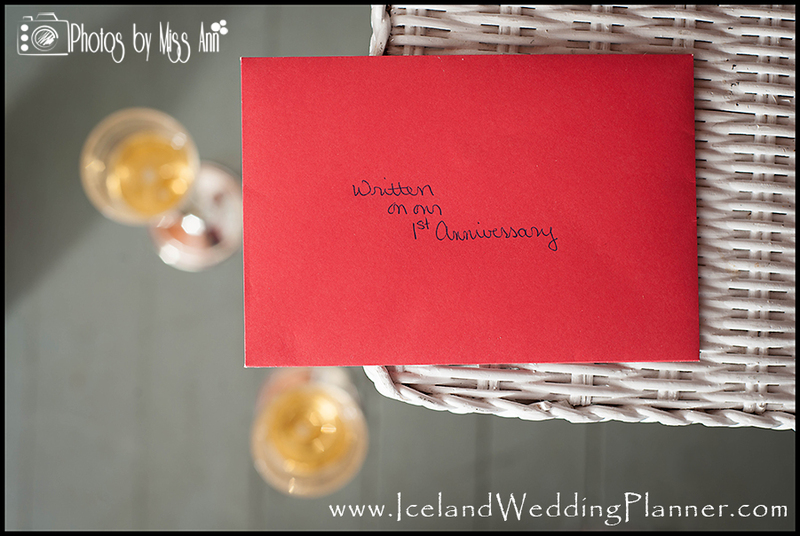 This week, we’re backing up to update you on one of our previous posts… Several of you ladies have emailed us to get more background on why we chose to have a Love Letter Ceremony when we held at our Iceland wedding at Seljalandsfoss waterfall in April of 2012. 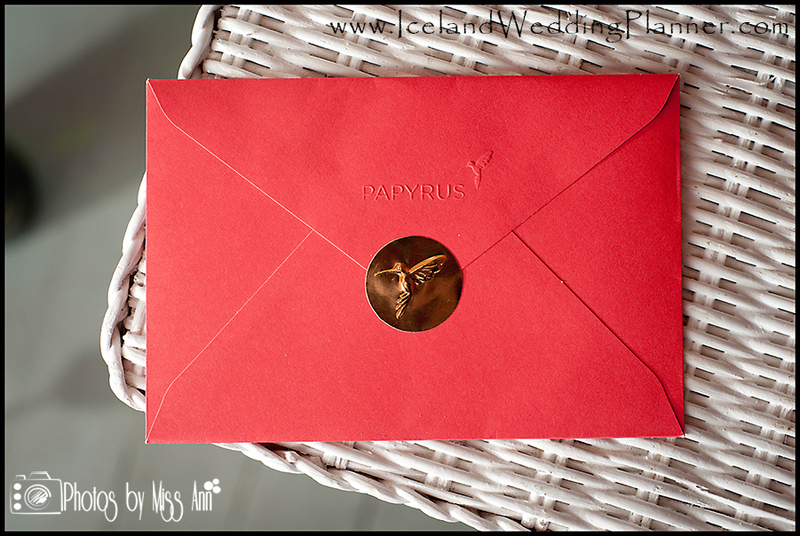 Good news, we wrote a fabulous Iceland blog post on this last year entitled, “Alternative Unity Ceremony Idea: Love Letter Ceremony,” so please check it out first! Holding a wedding welcome dinner the evening before our Iceland destination wedding. Icelandic natives turn their weddings into a span of a few day celebrations. Providing our guests with a 5 course wedding meal. 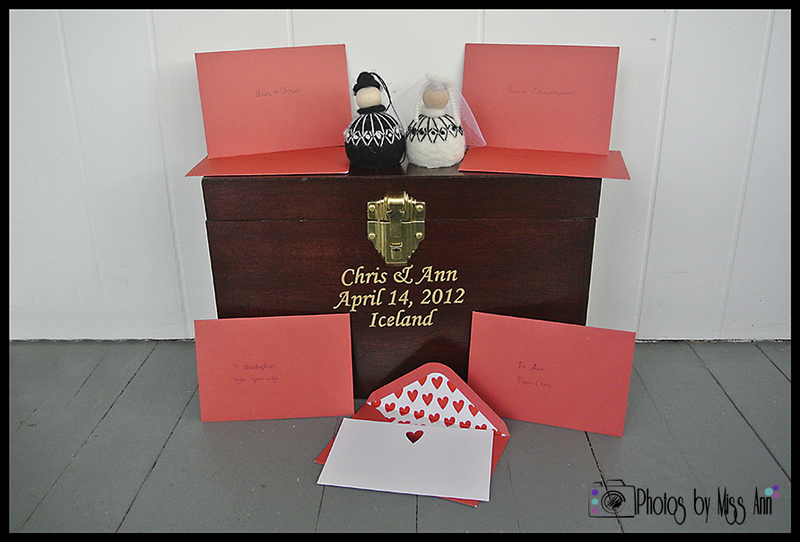 Love letters: In early Iceland, we found that love letters were the foundation of courtships. From everything my husband and I read, researched, and have experienced we have found that the Icelandic culture loves the outdoors no matter the temperature, celebrates with fresh foods, smoked meats, strong drinks, and camaraderie. Very much in tune with what we were after for our Iceland destination wedding. So along with planning and providing a 3 course “welcome dinner” the evening before our wedding day for all our Iceland wedding guests, we also felt it was important to have a 5 course Iceland wedding reception meal so that our guests could partake in the unique, fresh, and memorable food Iceland had to offer. The third thing that was Iceland inspired for our wedding day was integrating the love letters, by adding our own unique twist. We made the letters tradition a part of our Iceland wedding ceremony at Seljalandsfoss waterfall and had that be the foundation of our unity ceremony. It was a unique alternative to the other unity ceremony options we see every weekend. Feel free to read our Iceland blog post on this topic for specific details and wording for the unity letter ceremony. If you’re a weekly visitor of ours (thank you! ), you know that Chris and I just celebrated our first year wedding anniversary on April 14th with an Iceland inspired couples session last month, check it out here if you missed it! After we took photos inspired by our Seljalandsfoss wedding and the gorgeous Vik beach cave and rock formations, we said our wedding vows to each other again, and then we also did an update to our original Love Letter Ceremony. 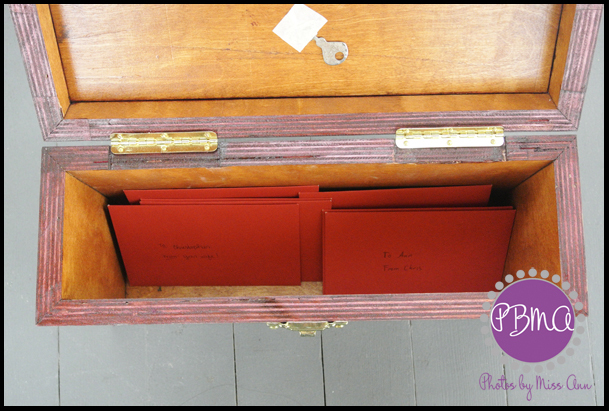 Okay, so we actually didn’t “lock” our love letter ceremony box when our Iceland wedding officiant closed it during our Iceland wedding ceremony because we had to stuff more things inside of in order to pack efficiently. When we returned home we did just as the ceremony said, we displayed it in a prominent spot in our home (our china cabinet we pass by many times throughout the day). But the more I thought about the meaning behind the ceremony itself and how much our lives have changed in the last year, I thought it would be important to do an update and write another letter to our future selves. Now selling my husband, Chris on the idea was tougher (lol). Lucky me though, he sees the value in it. 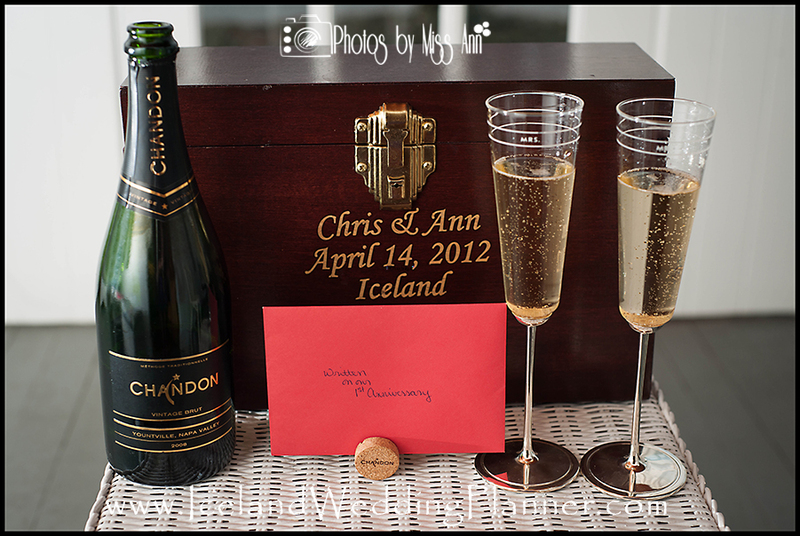 So on the actual day our wedding anniversary, April 14th we opened up our last bottle of our Iceland wedding champagne from Domaine Chandon, pulled out our last Papyrus stationery card, and wrote a new letter to each other. I personally wrote about how much I have struggled with finding the right balance. Most of the married couples that have come back to us through the years for Plymouth, Michigan portrait photography all say the first year is the hardest, and I must agree. Mainly because you are finding that balance for communicating, domestic chores, planning and cooking meals, working crazy schedules, idiosyncrasies and still finding the time to go out on dates! So! Chris and I toasted to another great year, sealed the letters together and wrote on the outside of the envelope “Written on our 1st Anniversary.” How fun, right? I think this is an awesome addition to a love letter ceremony tradition, so much that maybe we’ll do this every year on our Iceland wedding anniversary! Gives me chills just thinking about the impact all these letters will have on our future selves! Have you thought about what sort of unity ceremony you will have for your Iceland destination wedding? Our destination wedding style in Southern Iceland (Hella, Iceland) was very adventurous, action-packed, romantic, energetic, and very particular about food and drinks (in quality, quantity, and menu uniqueness) for ourselves and our guests. It was important to Chris and I to plan an Iceland wedding reception that was focused on those elements versus “partying” or dancing. So if you’re thinking of a comparable focus for your Iceland wedding, please contact us to be your inclusive wedding planners and photographers!